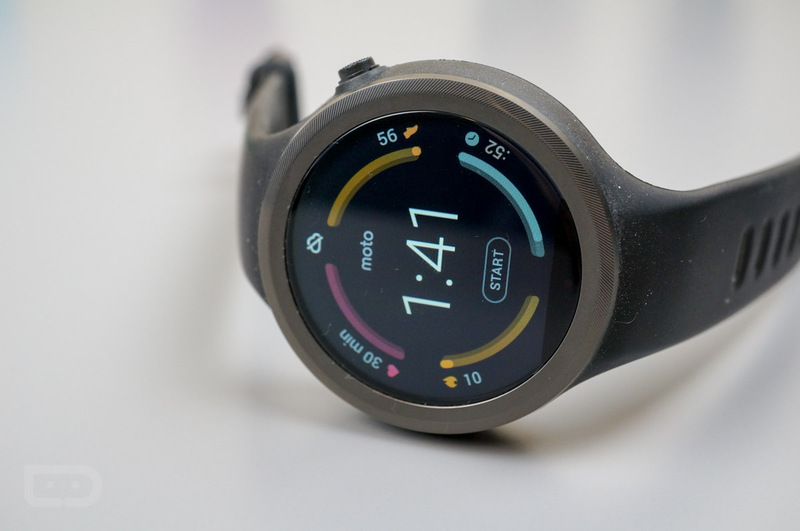 The Moto 360 Sport, an active Android Wear smartwatch that Motorola can’t seem to give away after only a few months on the market, is now so heavily discounted, it makes me nervous to recommend you pick one up. At just $161 and some change, the Moto 360 Sport in black can be yours, only you need to consider some things first. I hesitate in fully recommending this watch because these heavy discounts so soon just scream of a product being abandoned. I hate to say that, but remember that this is a watch coming from the company who completely cut off a flagship phone (Moto X 2nd Gen) after a year and has been irritatingly slow at updating their 2015 flagship phone. That’s not to say that Moto(rola) won’t be awesome with this device, but there are some red flags here. If you can put up with the idea that your watch may not receive a ton of support going forward, yet you still want to get into a GPS-enabled sporty little Android wrist thing that Tim had mostly good things to say about, don’t hesitate.